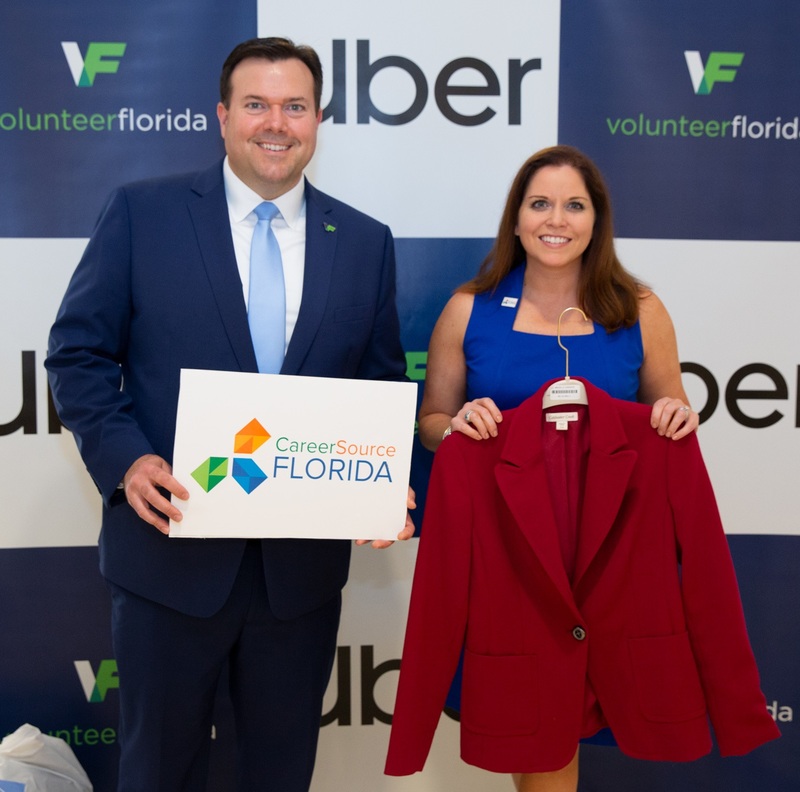 TALLAHASSEE, Fla. – Today, Volunteer Florida and Uber announced that the fourth annual Suits for Session service project resulted in the collection of 5,769 items of professional attire. The clothing will be donated to CareerSource Chipola, CareerSource Gulf Coast, AMIkids Emerald Coast, AMIkids Gadsden and AMIkids Panama City Marine Institute – organizations that are supporting youth and adult job-seekers in the Florida Panhandle striving to enter the workforce after Hurricane Michael. *This is almost a 40% increase from the 2018 donation total (3,540). In 1994, Volunteer Florida was established in Florida Statutes to manage national service programs, such as AmeriCorps, and advocate for volunteerism throughout Florida. Since then, Volunteer Florida has evolved to serve as the state’s lead agency for mobilizing volunteers and coordinating donations before, during and after disasters, including managing the Florida Disaster Fund. With $43 million in federal, state and local funding, Volunteer Florida delivers high-impact volunteer programs that are engaging Floridians, transforming communities and making the state a better place to live.